What is Ebola And What Are The Other Tropical Viruses? Theories on the origins of the 30 or more new diseases to affect humans over the past two decades are widespread, but many of the most frightening appear to have emerged from sub-Saharan Africa. HIV, which leads to Aids, has been linked to a similar virus common in West African monkeys, and the first ever recorded HIV sample was taken from a man in what is now the Democratic Republic of Congo in 1959. Ebola and a few other haemorrhagic fevers have been responsible for a tiny number of deaths compared to Aids, and the number of cases reported outside Africa has been miniscule. But the devastating speed at which they strike and the far higher possibility of transmission from human to human have made the thought of a major outbreak a terrifying prospect. However, Ebola is not the only viral haemorrhagic fever which claims lives in Africa, and beyond. 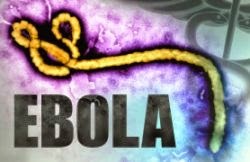 Marburg fever gets its name from the town in Germany in which it broke out in 1967 and shares its symptoms with Ebola. It claimed seven lives from the 25 infected in Marburg and Frankfurt. Lassa fever - first noticed in the 1960s after an outbreak in Nigeria. Rift Valley fever - mainly found in sub-Saharan Africa. Congo-Crimean haemorrhagic fever - found in many parts of Africa, the Middle East and even warmer parts of the former Soviet Union, in which an outbreak is ongoing. Scientists first became aware of the potential of Ebola to destroy whole communities in the mid 1970s, when severe outbreaks in Sudan and the former Zaire killed a total of approximately 440 people. The Zaire strain of the virus is the most deadly to date, proving fatal in just under 90% of those who contracted. The virus can be passed on either via dirty needles, or by person to person spread, and symptoms start to appear anytime from a few days later, up to almost a fortnight. However, how and why each outbreak starts is completely unknown. By then, the virus will have reproduced itself many times and spread through the blood to many organs. The major organs it affects are the liver, kidneys, spleen and reproductive organs. Marburg fever was transmitted from African green monkeys brought to Germany for animal experimentation. Very often, flu-like symptoms such as a sore throat, headache and high temperature are the first sign of infection. This is followed by nausea, vomiting and diarrhoea. The victim may start to become delirious and dehydrated. They can begin to bleed internally, either from the major organs themselves or from tiny blood vessels, the digestive tract and gums. Eventually, this can cause enough blood loss to cause shock and respiratory problems, leading quickly in many cases to death. There is still no treatment for Ebola readily available - no standard anti-viral therapies such as interferon have any effect. A vaccine has been produced that was 100% effective in protecting a group of monkeys from the disease, but attempts to replicate the success in humans have so far proved unsuccessful. At present if someone beats Ebola, they do it by themselves. Careful barrier nursing and avoidance of contamination with infected body fluids is still the best way to limit an outbreak, combined with support with intravenous fluids, and/or blood transfusions. Survivors can be expected to make a full recovery, although occasionally reversible personality changes have been noted in such lucky patients. After the initial Sudan and former Zaire outbreaks, there was another small outbreak in Sudan n 1979. But it was not until 1995 - again the former Zaire, that a major outbreak occurred, centred around the town of Kikwit. This time 316 people were infected - almost exactly the same number as the first Zaire outbreak and 245 died. Scientists have developed vaccinations against both Ebola and Marburg which work on laboratory animals, and there are promising signs of some therapies that can be used on victims. Some experiments use antibodies from the marrow of Ebola survivors. Much of the scientific work underway is focused on finding the original source of the disease - the reservoir. One project examined thousands of animals in the rainforests of West Africa in a bid to isolate those hosting the virus. Some scientists say that the growing numbers of so-called emerging diseases are due to increasing forays by humans into the tropical forests. This brings them into contact with new creatures - and new infections - making it possible there could be even more powerful viruses waiting to play havoc in the human body.